Larry Neal Wedhorn obituary. Carnes Funeral Home. Apr 3, 2015 I was sorry to hear of Larry's passing. I will always cherish the memories we had with him. Rest in Peace! A Celebration of Life is scheduled for Saturday april 25th 2015 from 1pm -7pm at the home of Barbara and Jesse McNemar,l 2202 15th Ave. North Texas City , Texas 77590. 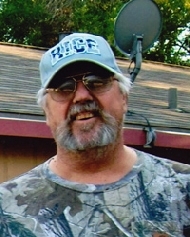 Larry Neal Wedhorn, 65 of Texas City, Texas passed away at Mainland Medical Center on March 25, 2015. Larry was born September 3, 1949 to Benjamin Wedhorn Sr. and Inez Julia Wedhorn in La Marque, Texas. He is preceded in death by his parents and twin sister, Linda Sue Wedhorn. Larry retired from Gulf Coast Waste Disposal Authority. He is survived by his brothers, Kenneth Wedhorn of Houston Texas and Benjamin Wedhorn Jr. (Verna) of La Marque, Texas. He is survived by many nieces, nephews, aunts, and uncles. Larry's wishes were to be cremated.